Sometimes great things come in small packages. 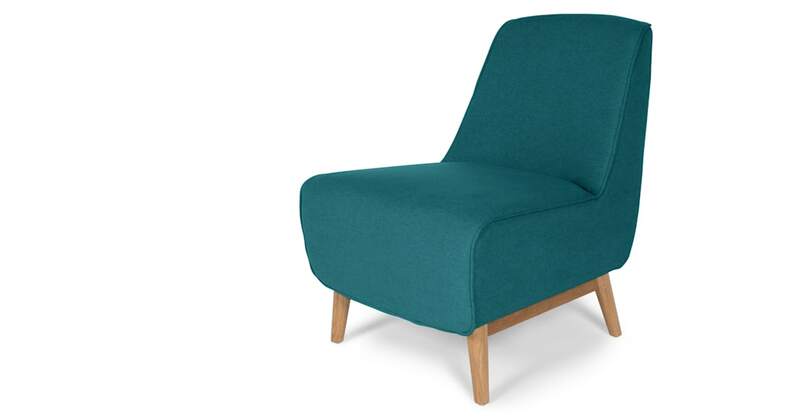 This accent chair is big on design impact, but compact enough to fit into tight spaces. The Leo chair was designed in-house by MADE Studio. So you know you're getting a brilliant design at great value. The cushions also have piped edges to give extra shape and definition. Solid wood legs and an angled back give you full support and comfort.